A Girl & Her Food: Extra Extra! "A Wicker Park couple will grace the small screen this month to show off their culinary and entertaining prowess on one of Food Network's latest series. 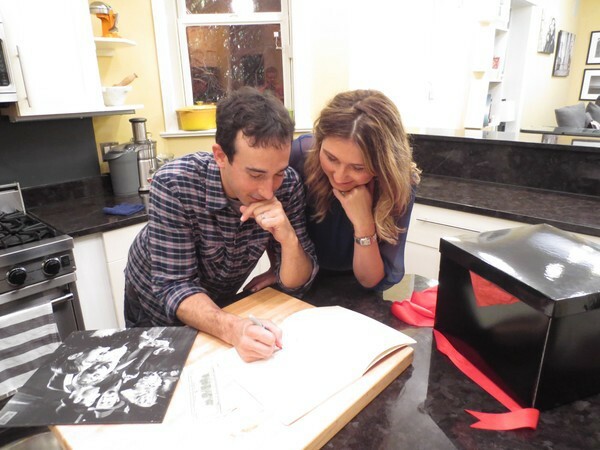 Wicker Park resident and food blogger Kat Levitt and her husband, Steve, will be featured on an episode of "Bobby's Dinner Challenge." The cooking competition series revolves around host Bobby Flay traveling the country and pitting teams of amateur cooks against one another to see who prepares the best dinner party. The Chicago episode, which will air at 9 p.m. on Jan. 30, pits the Levitts against two other teams—"husbands Marc and Ryan" and "mother and son Doris and John," according to the official episode description—to throw a speakeasy-themed dinner party to impress Flay and a guest judge. The winning team gets to take home a "Bobby's Dinner Battle" trophy. Levitt said she first got involved with the show when a friend of hers saw the casting call and encouraged her to try out. "We filled out the application, we got interviewed and we had to present a dinner party for our casting people," she said. "And we got the news that we were casted for Chicago, that Bobby Flay and Food Network considered us one of the best home cooks in Chicago." They were given a budget and theme to work with and sent to a grocery store to stock up for the party. She said they were given three hours to make the meal and prepare to host the judges—and their competition—in their home. They also got to attend their competitors' dinner parties. Levitt said the experience filled her with a mix of emotions ranging for apprehension to excitement. "It was very cool," she said. "My husband and I were very excited to be casted. A little bit nervous. I've never been on TV. It's my first time being on TV, cooking under pressure and having a theme and kind of not knowing what the theme was, going into the challenge. It was exciting." The Levitts have lived in their Wicker Park home—located on the 1400 block of North Hoyne Avenue between Schiller and Le Moyne—for about three years. 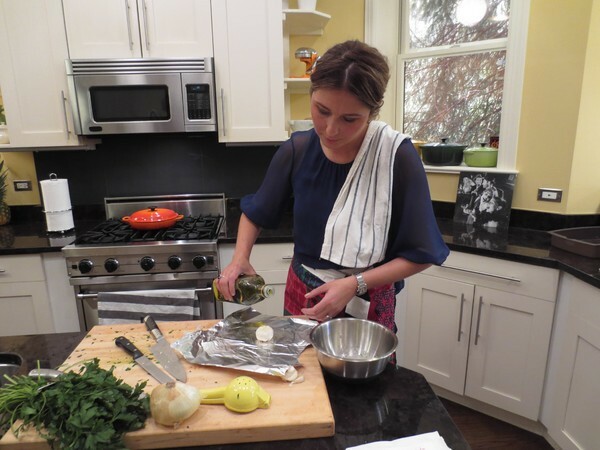 Kat works for Bucktown's Tree House Humane Society and started her blog about two years ago after friends and dinner party guests began asking her to share her recipes. "I actually don't cook from recipes," she said. "I kind of just go with the flow, and I would have to always explain how I made my dishes. Someone told me to start a food blog and start posting my recipes." She said she was looking forward to watching the episode and seeing how her performance turned out. She and her husband are planning to host a party to mark the occasion. "We're going to have a viewing party with our friends, neighbors, family, and I have several people that are active followers of my blog, too, that are coming," she said. "Just people that have supported us and love our food and our friends and family." Such an exciting story! I hope you enjoyed the overall experience!